Did you know you can help save lives with just a text? Really, you can! Step 1: Get out your phone. Step 3: After you get your confirmation text, be ready to forward the total of 6 messages you will receive between now and the Nov. 4th election to your friends! 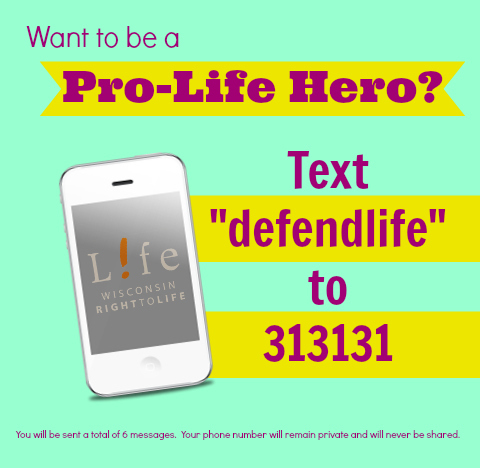 Our Text Message Initiative seeks to educate pro-lifers and voters across Wisconsin about the November 4th elections. Together, we can educate and encourage people to vote pro-life! Note: You will be sent no more than 6 text messages. Your phone information will remain private and will not be shared in any way.